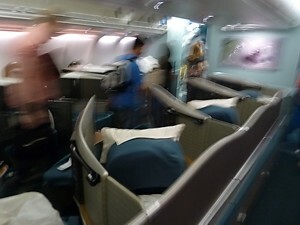 Cathay Pacific A330 seating plan - A330 Long Haul cabin layout - pictures of every seat & colour interactive Cathay Pacific Airbus A330-300 seating plan, review of best seats in economy and business class. 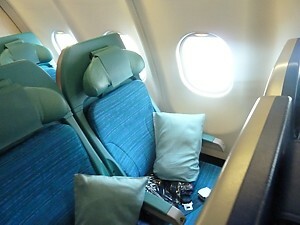 This seat map is for the Airbus A330-300 as flown by Cathay Pacific. 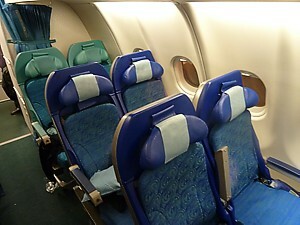 A twin engined, twin aisle airliner, it is quiet, comfortable, and modern. 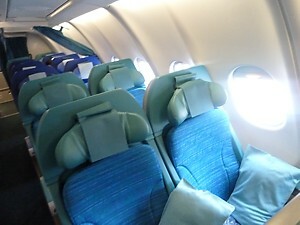 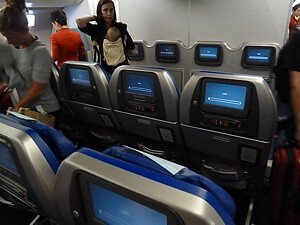 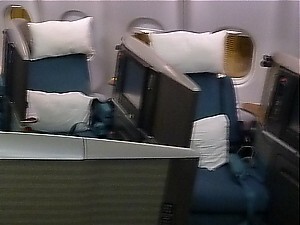 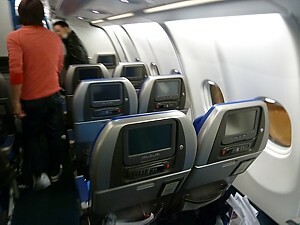 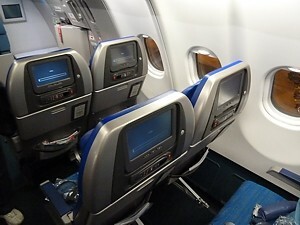 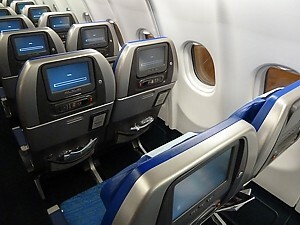 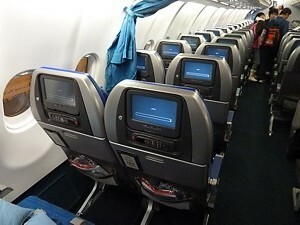 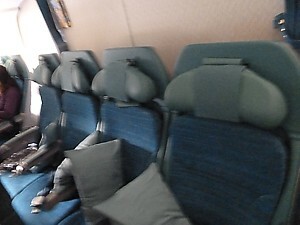 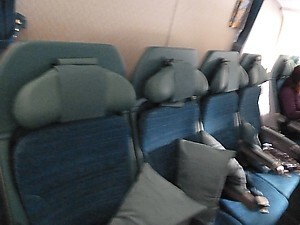 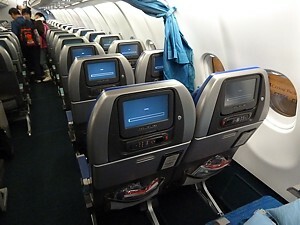 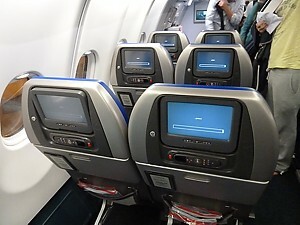 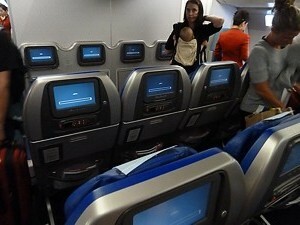 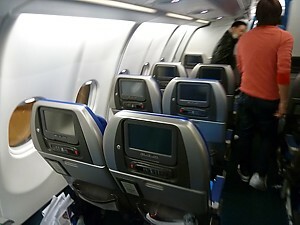 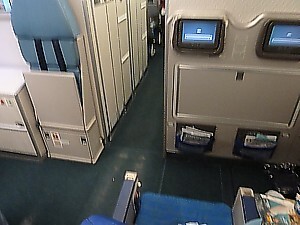 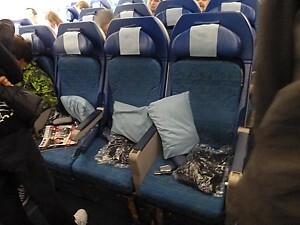 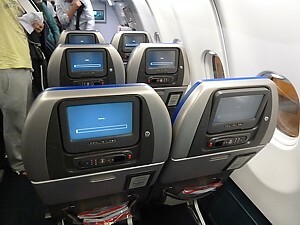 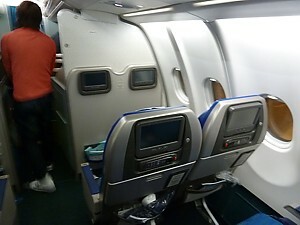 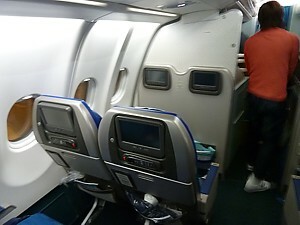 This verison has the older newstyle (coffin, or Olympus) business class seat, the new style economy seat, and up to date in-flight entertainment. 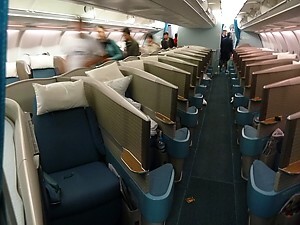 Cathay Pacific A330 Routes: Hong Kong to Sydney, Brisbane, Melbourne, Perth, Cairns, Denpasar, and Surabaya. 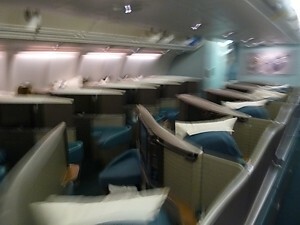 Got the right plane? 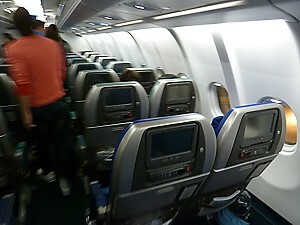 This is the Olympus version (41J). 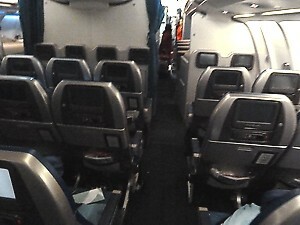 There is also the new Cirrus seat (33E - 39J) version & no AVOD regional A330 (44J). 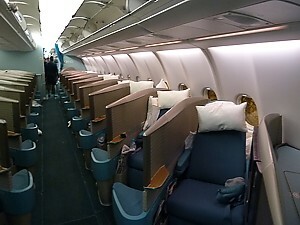 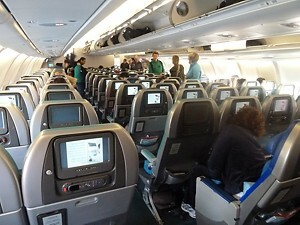 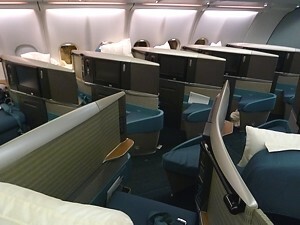 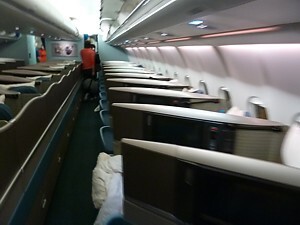 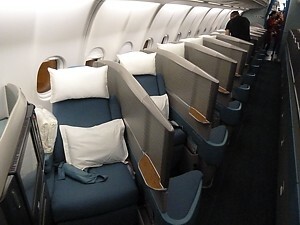 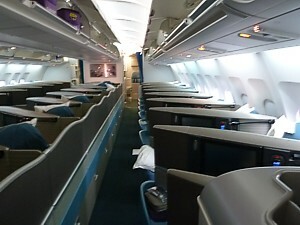 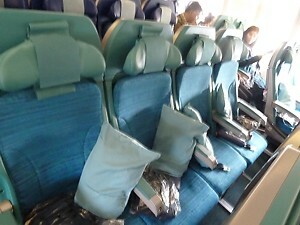 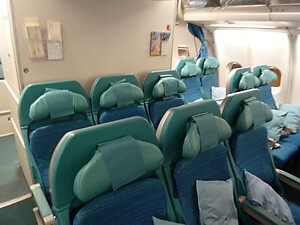 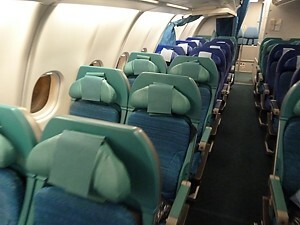 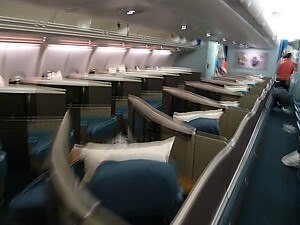 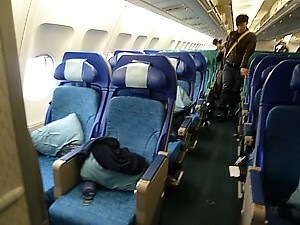 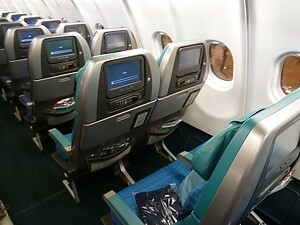 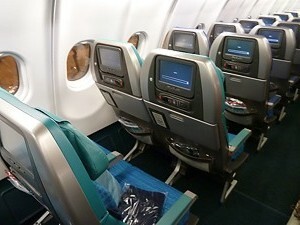 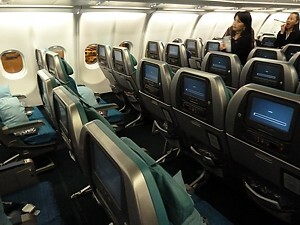 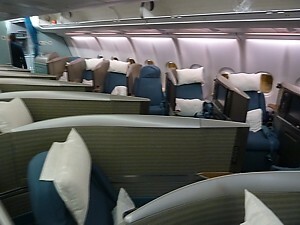 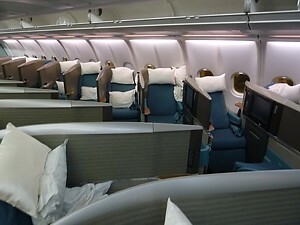 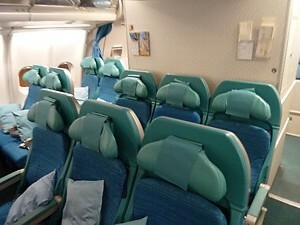 The Cathay Pacific A330 seating plan has two Business Class cabins at the front. 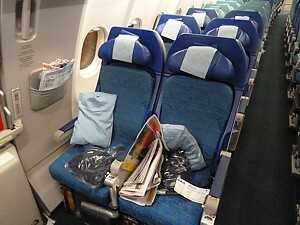 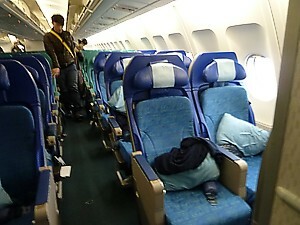 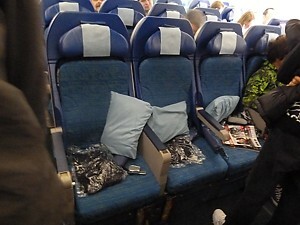 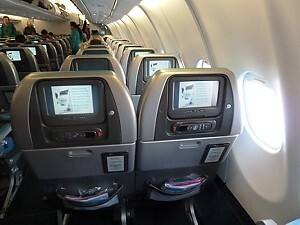 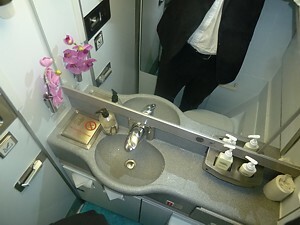 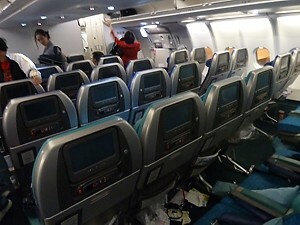 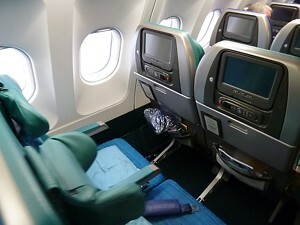 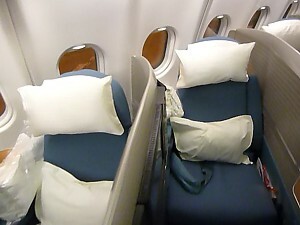 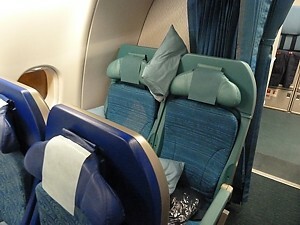 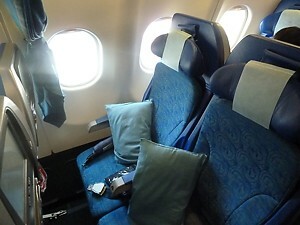 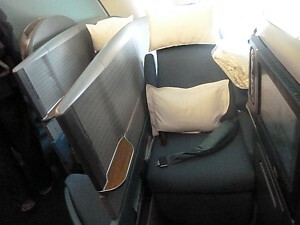 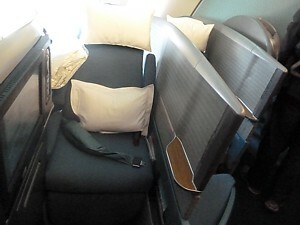 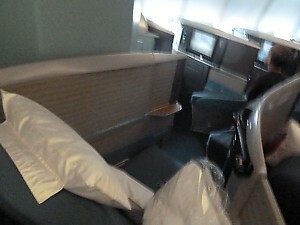 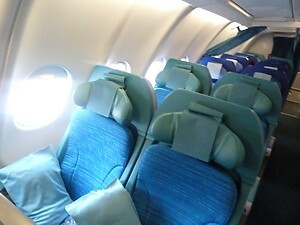 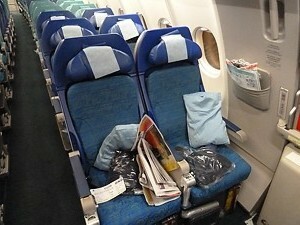 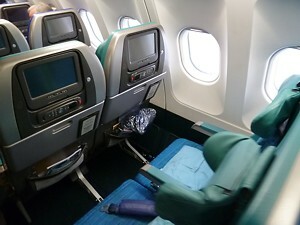 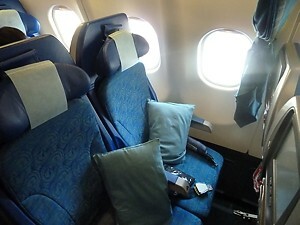 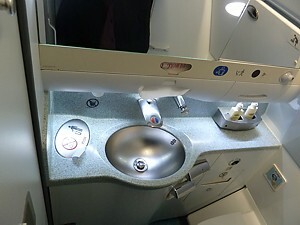 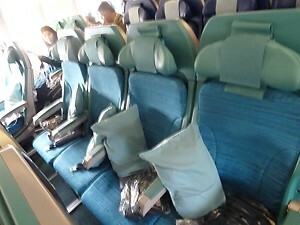 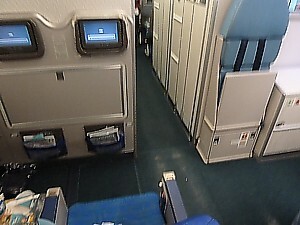 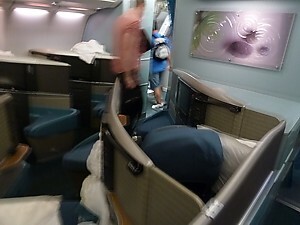 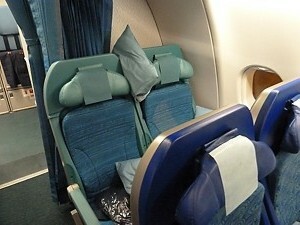 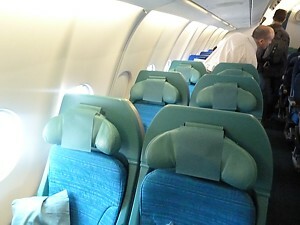 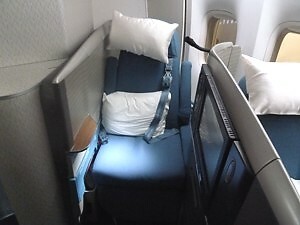 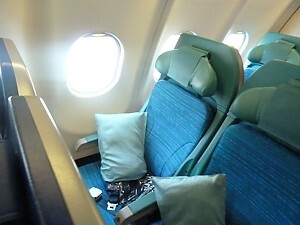 Cathay Pacific A330 Business Class is the slightly older Olympus seat with high walls. 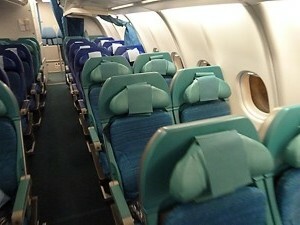 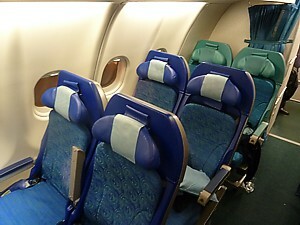 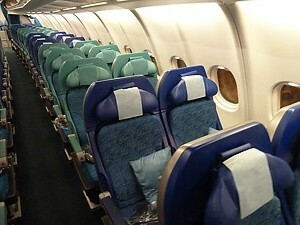 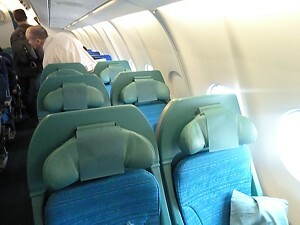 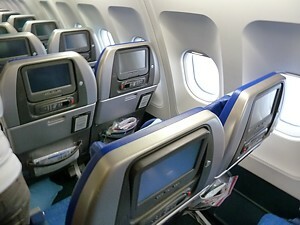 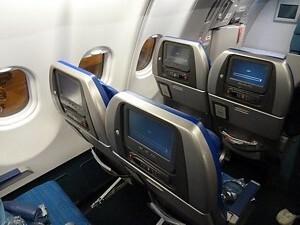 Many passengers prefer the smaller rear cabin, but it is suffers from noise from economy. 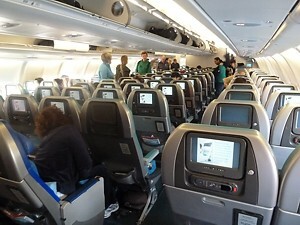 The left aisle has double the traffic, but is better for couples to talk over the aisle. 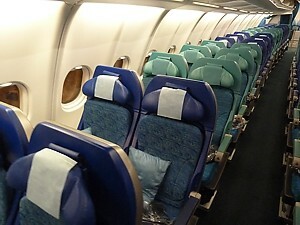 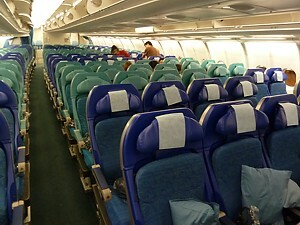 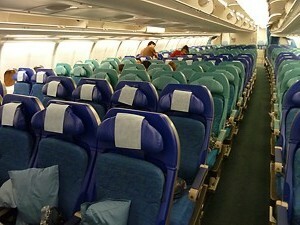 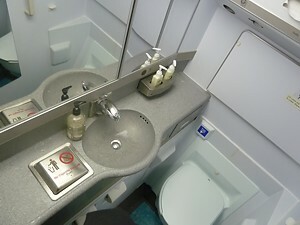 The Cathay Pacific A330 Economy class seating chart is divided into two cabins separated by a large toilet block. 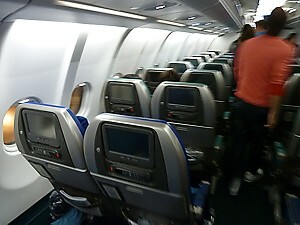 It is impossible to get from one aisle to another so there are longer queues & more traffic in the left aisle. 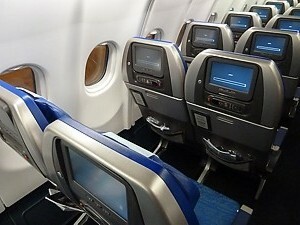 A small IFE box under the window seat is very unobtrusive. 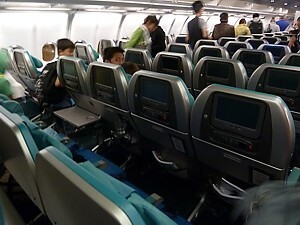 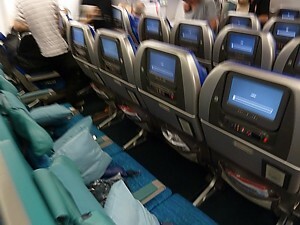 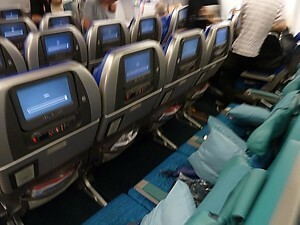 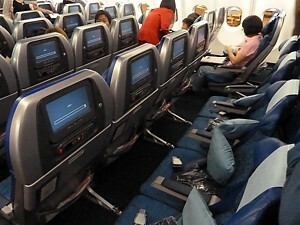 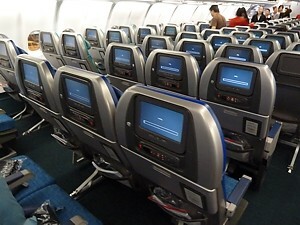 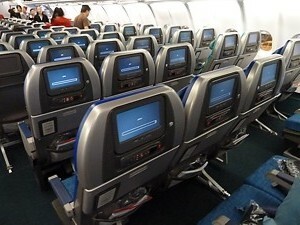 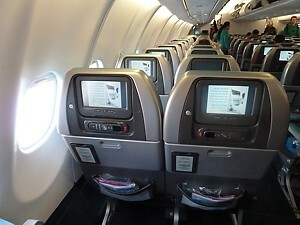 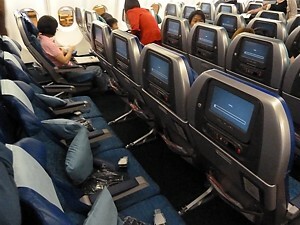 ►Hover mousepointer over any seat for Cathay Pacific Airbus A330-300 seat pictures, and Cathay Pacific A330 seat review. 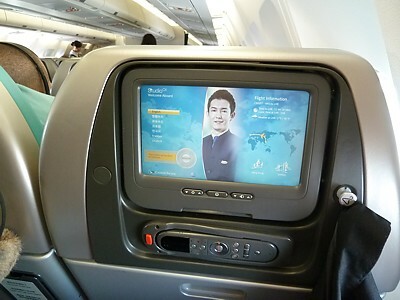 Seatback TVs in all classes on Cathay Pacific A330, with AVOD (start & stop on demand) showing 100 TV programmes, 50 films, 170 CDs & 100 games. 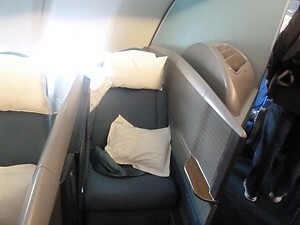 Lounges: Cathay Pacific have separate First & Business Class lounges. 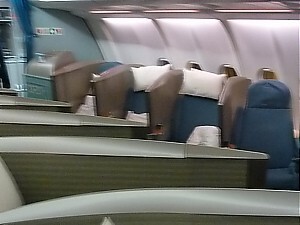 Lounges have computers, newspapers, showers, free hot food, drink & a complementary bar. 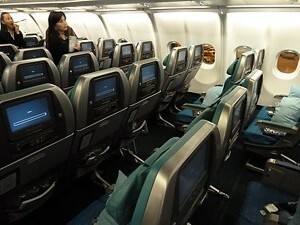 Seat prebooking: You can book your seat on Cathay Pacific A330 before the flight. 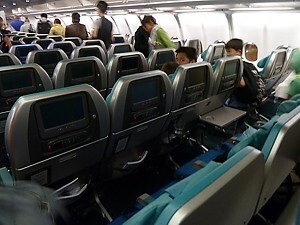 Online Checkin: Cathay Pacific have full online check-in from 24 hours before the flight. 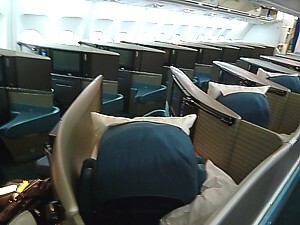 There are thirty-two A330-300 in Cathay Pacific fleet. 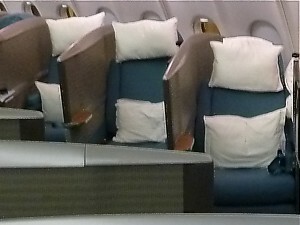 This seatmap is for the long range version with older newstyle (coffin, or Olympus) business class seats (J41/Y223), with registrations B-HLP, B-HLQ, B-HLR, B-HLS, B-HLW, B-LAC, B-LAD, B-LAE, B-LAF,	B-LAG B-LAH, B-LAI, B-LAJ.B-LAD carries the Progress Hong Kong special livery. 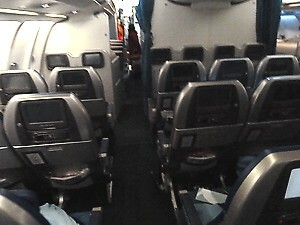 B-LAK is the odd one out, and is fitted with new long-haul (Cirrus) Business Class. 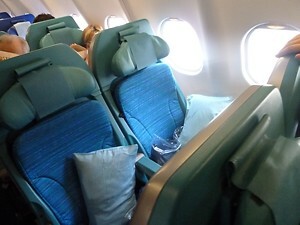 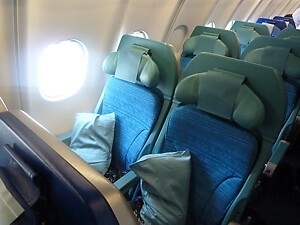 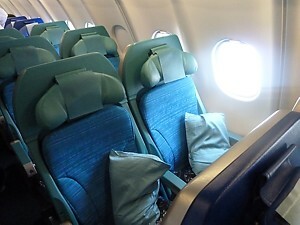 A Cathay Pacific A330 economy class review shows the best seats are normally regarded as 30A & 30K, however these aren't the prefered seats. 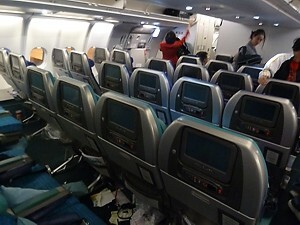 If you pay extra for extra legroom seats you'll end in 54A or 554K, which are blighted by lightspill, even though these CX A330 best seats are normally reserved for Cathay Pacific's most frequent flyers. 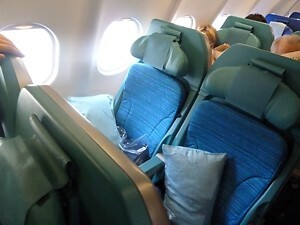 If you look at the Cathay Pacific A330 floor plan you'll see why many passengers much prefer the Cathay Pacific A330 front cabin economy seats. 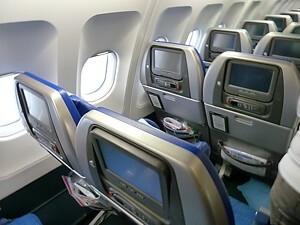 With three windows, no basinette, far away from engine noise and very quiet, seats 30A, 30C, 30H and 30K are by far the best. 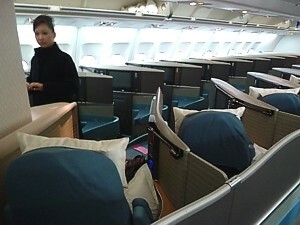 Cathay Pacific fly the A330 on these routes from Hong Kong: Sydney CX111/CX110, CX139/CX138 and CX161/CX162 (although B-LAD flies sometimes flight), Brisbane CX103/CX102 and CX157/CX156, Adelaide CX103/CX104, Cairns CX101/CX102, Melbourne CX163/CX154, CX 135/CX136 & CX105/CX106, Perth CX171/CX172 and CX137/138.